Successfully Added 1GB FM Transmitting MP3 Player - In Car Use to your Shopping Cart. MP3 Player with built in 1GB internal flash memory and FM transmitter. 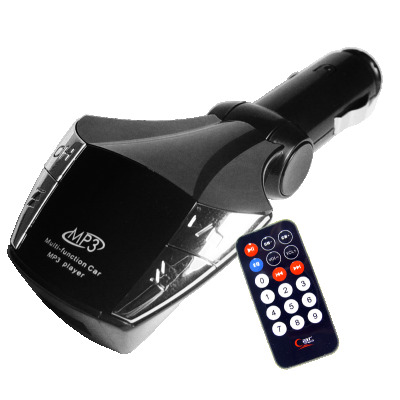 Built for use in any car with a standard 12V Cigarette Lighter. As the car directly provides the power for this Wholesale Car MP3 Player, you will never have to worry about recharging this device, and with its FM Transmitter, you can use your Cars own Audio System for the best quality you can possibly get from your digital music. Simply choose any FM Frequency between 87.0 and 107.0Mhz on your Car MP3 Player, choose the same frequency on a FM Tuner, and it will receive the signal. This FM Tuner Car MP3 Player is a great way to listen to your favorite music with the best possible sound you can get, and is available with a low price and a one year warranty.